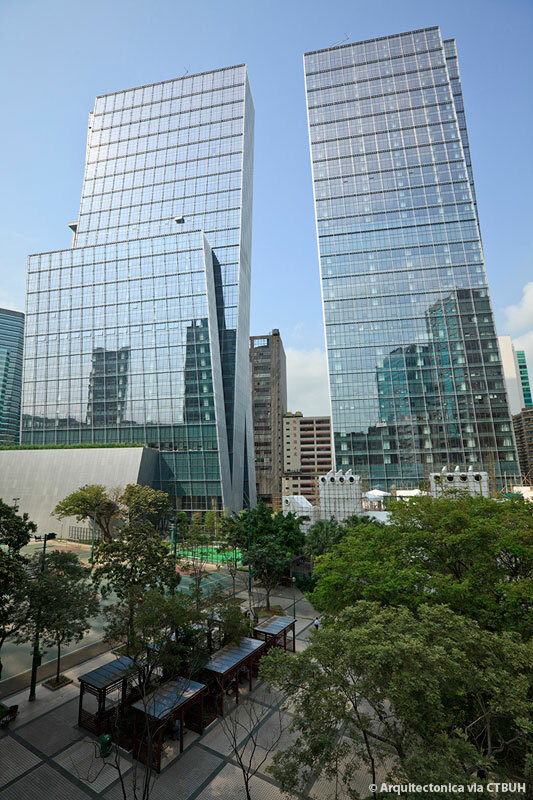 A twin tower development located in the Kwun Tong area of Hong Kong, Landmark East’s floor plates vary in size between the two towers, providing maximum flexibility for leasing. Derived from the long narrow site, the rectilinear slab towers are formed into a composition of slim, interlocking planes, slanted at varying angles to create a sense of movement and play. The cores and floor zones are arranged to take advantage of harbor views. The broad south elevations combined with the intersecting volumes provide valuable office space and corner units that take advantage of harbor exposure at the upper levels. 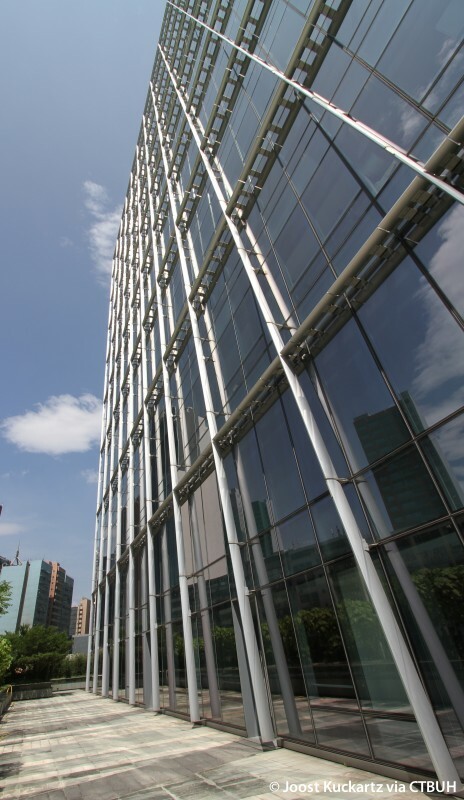 The building façade consists of a fully unitized aluminum framed curtain wall system. 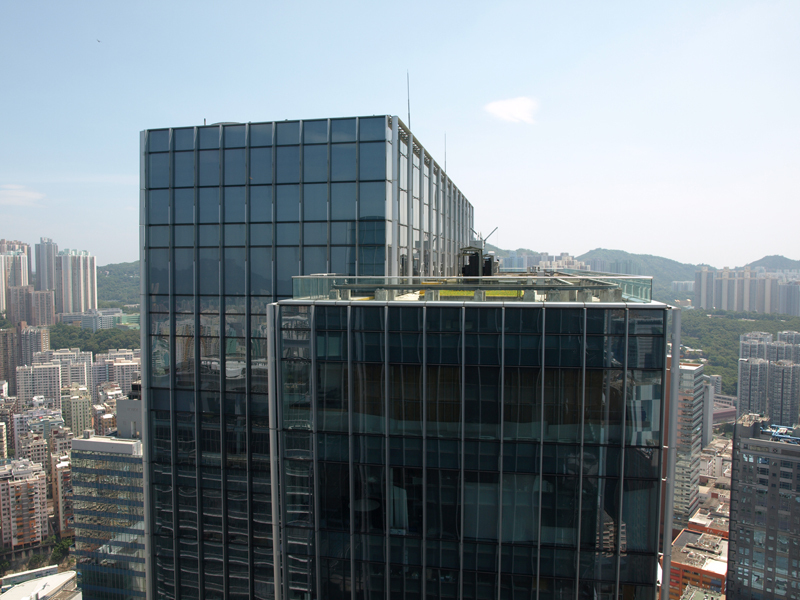 The floor to ceiling glazing utilizes the latest glazing technology: clear double glazed units incorporating performance solar coatings allow maximum light transmission while reducing thermal transmission through the façade. The car parking and servicing has been restricted to the basement and a podium structure at the base of tower two. This allows the remainder of the site to open up to form a landscaped plaza at grade, a unique feature for office developments in the area. The vertical transportation was carefully analyzed in order to maximize lifting capacity whilst maintaining floor plate efficiencies. 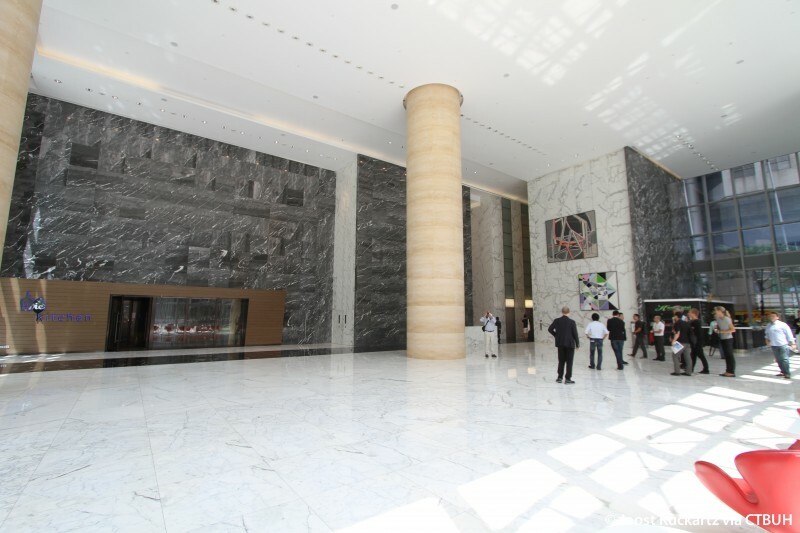 Each tower is divided into 3 lift zones and high-speed lifts are provided. Two car park lifts are provided in each tower providing direct access to the main lift lobbies from the car park levels. The building has a number of sustainable features; recycled rainwater is used for irrigation of the property’s landscaped areas. 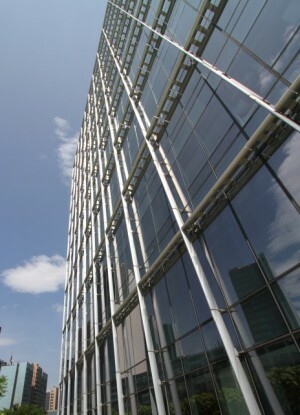 Energy efficiency is also enhanced through such features as double-glazed low-E glass façades, vertically finned to reduce glare and heat intrusion.